BRIGHTON, Mich. May 30, 2012 – 2012 Ford Focus Review - Even after putting in 4, 5, or more years at the university (you know a lot of people go to college for 7 years), many college grads are not experts in the field of purchasing new vehicles. An article from TotalCarScore.com identifies the top 10 best cars for college graduates, and right up at the top of the class is the Ford Focus. The 2012 Ford Focus pulled several all-nighters studying and scored well on the test for several reasons. One of the reasons the Ford Focus scored well is the price. We all know how expensive tuition and books can be and that the vast majority of college grads walk off the graduation stage with a diploma and lots of debt. Grads are going to need a car to get them off to that new job and chances are your old high school chariot probably doesn’t have much life left in it. The 2012 Ford Focus has a sticker price of just over $16,000 making it affordable while your working off those student loans. The 2012 Ford Focus aced the fuel economy exam. With numbers like 28 miles per gallon city and 38 miles per gallon highway the Focus can get you off and running into the real world without giving you the post-college blues at the pump. This great fuel efficiency is all thanks to the Ford EcoBoost engines featured in the 2012 Ford Focus. 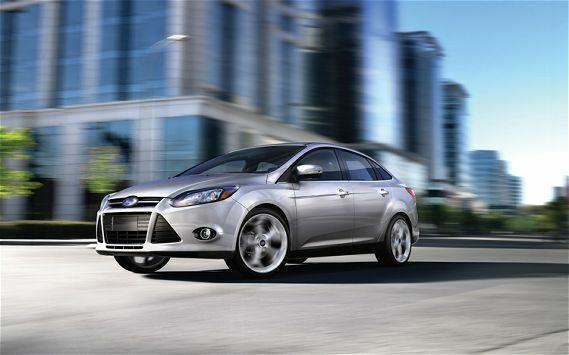 Be smart, contact us for a test drive or for more information on the 2012 Ford Focus.